I had my follow-up with the surgeon. I had gallbladder surgery in January and they put a stent in to catch any gall stones that might still be in there. I had some complications, I posted about in the post before this one. This surgeon told me they wanted to wait until 12 weeks and I am at 8 weeks. They will remove it on April 20th. It will come out via my mouth and they will use a scope to go down my throat, etc to retrieve it. I thought I was going to be awake, but it is a same day surgery and I will be knocked out for it. I am kind of glad just because I gag easily. I also fell on my hands and knees in January and my arm is still hurting, plus I helped a teacher lift a table at the school for parent/teacher conferences and my back is pulled out. I went to see my chiropractor yesterday and he got me lined back out. My hips were off, my shoulder was out of line and he worked with my lower back. It will take a few days, but I am hoping to feel much better soon. Josh and I are going to get our hair cut tomorrow. I am excited about that. I had also wanted to take him to see Beauty and the Beast, but the tickets are so expensive. I have not decided if we will go or not. 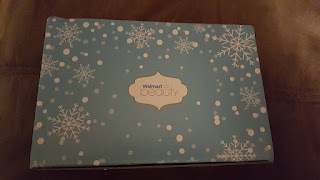 I decided to try the Wal Mart Beauty Box. I have been looking at subscriptions and I decided this would only cost $20/year and I could see if I liked it. I hate to sign up for a monthly subscription and us need the money for something else. Anyway, here are the pictures of it. I liked it. I believe the Spring one will come out April 1st. 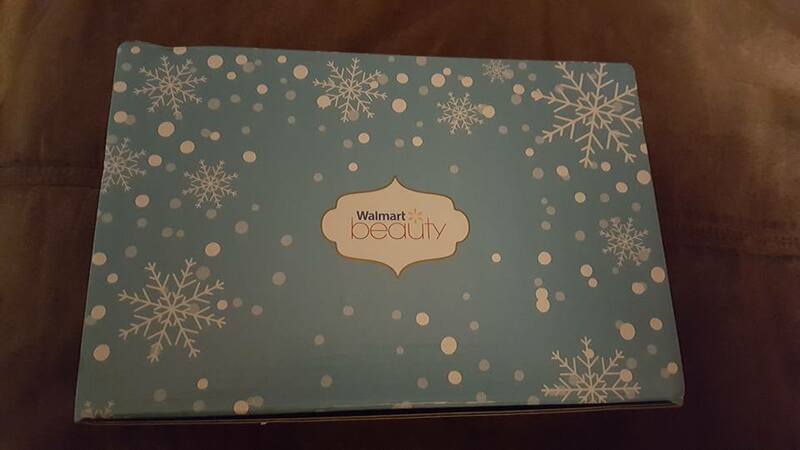 It comes with items you can find at Wal-Mart. There are no name brand items like you might find with Ipsy or Birchbox. That is fine with me. I just want to see what I get. It is kind of fun. 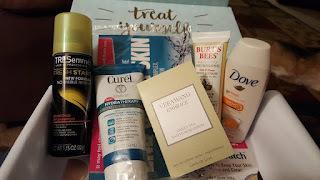 Target does these as well, but it is not a subscription, you sign up monthly. I understand they sell out fast though. I might try to get one of those this summer when I have time to be online and wait for them to post it. Do you do any subscriptions? Which one/s? Do you like them? Josh and I are on Spring Break, so I hope to be able to come by and visit blogs. I hope you are all doing well! Happy Spring!